The compact forklift made by Nissan is both suited for outdoor and indoor applications when needed, offering the employees an exceptionally versatile machinery. These compact units offer tight handling and excellent maneuverability, making them perfect for inside warehouse operations. Their compact chassis is responsible for their extreme versatility. Solid pneumatic tires offer remarkable performance out in the yard and on improved surfaces. The forklifts are all made utilizing Nissan industrial engines. Greater torque and better horsepower satisfy different manufacturing, recycling and warehouse applications as well as other outdoor/indoor conditions. The Nissan forklifts are available in liquid propane or LP, or Dual Fuel with gas/LP. The fuel management system optimizes engine operation in order to provide superb fuel efficiency and less NOx, HC and CO exhaust emissions. Each and every compact model comes standard with the comprehensive engine protection system. This particular system is in place in order to warn operators in case of a severe drop in oil pressure or any excessive heat. 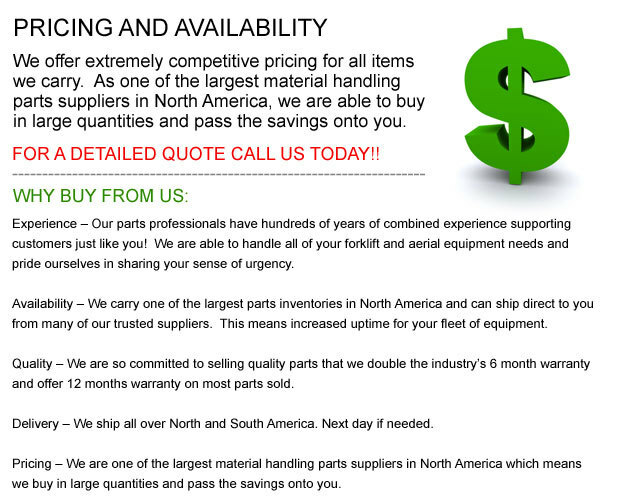 This system provides extended drive train life and engine life for your forklift investment. There is a lot of head, leg and foot room built into each and every operator compartment and is versatile enough to handle different sized drivers. The lift truck offers a standard full suspension seat which has soft touch arm pads and hip resistant to provide enhanced safety and utmost operator comfort. The low profile design of the unit offers plenty of head clearance. Additionally, there is a front to back travel adjustment to allow a customized fit in order to accommodate practically any operator height. Nissan's K-series engines offer the same proven block design and bottom by-pass cooling system as the H-Series engine, its' predecessor. These improved and new engines are particularly tested and engineered for industrial applications so as to give all of the power and torque, in the low rpm range, to meet the requirements of the application. The K21engine includes a transmission/engine warning system and protection which is an extra safety measure which is added for your investment. It helps by decreasing the speed in case of low oil pressure or excessive heat generation.